UNILINE AFFILIATE PROGRAM allows you to join the promotion of tourist accommodation in Croatia on the internet, and earn a commission from 5% to 10% for each reservation made on your site through our affiliate program. APPLY TODAY AND BECOME UNILINE.HR PARTNER! What is Uniline Affiliate program? How does Uniline Affiliate Program function? Who can participate in Uniline Affiliate program? Where can I put ads/frame? Are there sites I can't put ads/frame on? What is Uniline Affiliate Frame and how does it work? What is Uniline Affiliate Link and how does it work? How much money can I earn, and how do I get my commission paid? How can I join Uniline Affiliate Program? Who do I contact if I don't understand something or have a problem? Uniline Affiliate Program is a way to promote tourist accommodation in Croatia. Since it's very simple, it is meant for almost anyone, and no matter your experience (or lack of) in tourism, marketing, or informatics it is possible to earn commissions for each reservation made through your site for accommodation from Uniline L.t.d. database. All you have to do is put the affiliate frame/link on your web pages, and we will provide full service to the guest: giving information, reservations and payments. For each reservation made by coming from your site, Uniline gives you a commission from 5% to 10%. 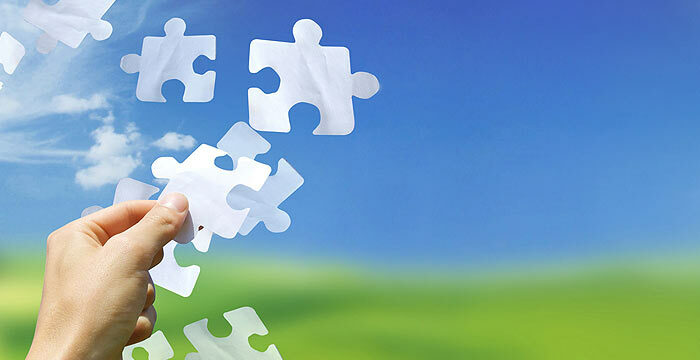 There are two possibilites in our Affiliate Program: Affiliate Frame and Affiliate Link. Affiliate frame brings entire accommodation offer of uniline.hr within the frame which can be shown on any site provided it has at least 535 px of width on the web page that the frame will take up. Affiliate link means linking to Uniline.hr with a unique affiliate link, which can be put on text, graphics or web services. You can put Uniline Frame on your own web pages, or you can make separate page. Also, you can put it on any page you have permission from webmaster, or owner. The possibilities for placing Affiliate link are almost unlimited. Put it on your web page, or any page you can arrange to put the links on. You can put it in directories or catalogs which allow affiliate links. All visits and eventual reservations will have your affiliate ID, and you will make a commission from them. Any kind of unethical advertising (false promises, fake links) or spam is also forbidden. Such advertising is considered a breach of contract, and will result in canceling of your account and blocking your affiliate ID. When a visitor makes a request through Affiliate Frame, it will be recorded in our system with your Affiliate ID, and if the guest makes a reservation, you will receive commission . Uniline Affiliate Frame brings new and interesting content on your web page. Uniline Affiliate Frame contains almost all hotels and tourist settlements in Croatia, as well as a vast offer of appartments, holiday homes, luxury villas, villas with a pool, lighthouses and other... Every accommodation unit is described with all relevant information: textual description, pictures of interior and exterior, as well as surroundings, and a detail price list and availability calendar. Affiliate Frame is also available on 12 languages (English, German, Italian, French, Spanish, Slovenian, Czech, Slovakian, Hungarian, Polish, Romanian and Croatian), so you can easily match it to languages on your web page. 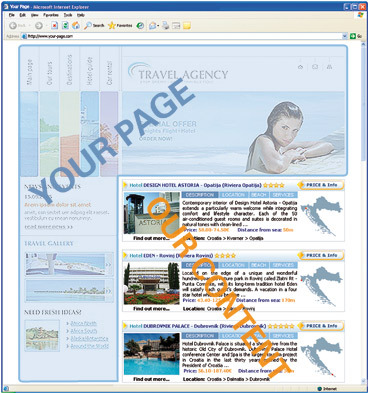 Your web pages get new quality content, and your visitors quality accommodation offer all year long. Uniline Affiliate Link is a way of advertising which enables to track the number of visitors that come to uniline.hr through affiliate links. To enable this, simply add a variable 'sid' with your Affiliate ID. When a visitor comes through a link with your Affiliate ID to our web page, his browser is given a cookie with your ID. So when the visitor decides to make a reservation a script connects the visitor with the reservation an you are given the commission. You can put the affiliate link on text, animated or static banner. On our pages you will always find the latest banners, and if you need banners of different sizes feel free to contact us. Possibility of earning money grows with the number of visitors on your page, and with the number of links/frames you put. And with earnings your percentage also grows. commission can be payed at any moment on request from Affiliate partner, and the minimal amount of commission for payment is 150 €. Percentage of commission is defined in relation to total revenue at the moment of payment. After the payment total revenue is not reset, but it accumulates, which means your commission percentage grows regardless of number or dynamic of payments. If you don't request pament of commision until the end of the calendar year, Uniline will make a payment of your earned commision regardless of amount, even for amounts lower than 150 €. Joining Uniline Affiliate program is fast and simple. Just fill in the form or send a inquiry with basic information (First and last name, or name of the company, address, e-mail) to marketing@uniline.hr. We will assign to you an Affiliate ID - unique number of your account - and you can start advertising immediately. Feel free to contact us at e-mail marketing@uniline.hr or telephone number ++385 (0)52 390 074. Since our mutual goal is the same - to make a large number of reservations - we stand to your disposal for any questions or inquiries.